With another April Fools day in the record books it’s time to review what kind of pranks the auto makers have been getting up to. It’s funny to see the extremes they’ll go to just to prove they actually have a sense of humour. Here are our favourites from this year. First up, the runner up for the best 2013 April Fool’s prank by an Automaker …. 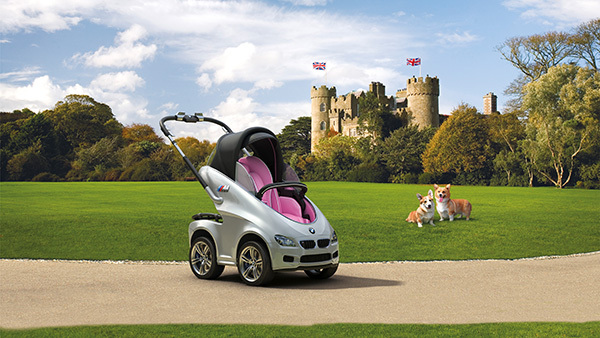 With a royal baby due this summer, BMW proudly announced the launch of the limited edition BMW P.R.A.M. (Postnatal Royal Auto Mobile). Available in Princess Pink or Royal Blue. The soft-top convertible has been designed using our EfficientDynamics technology. With two or four-wheel-drive, it rides as smoothly on a polo field as it does down The Mall and comes with air conditioning and built-in extendable flagpoles as standard. For those who are ‘too posh to push’ this masterpiece of motherhood even comes fitted with N.A.P.P.I.E. (Nanny-Assisting Petrol-Powered Injection Engine). It been a while coming, but I finally managed to get behind the wheel of Nissan’s iconic Z sport car. The last time I was in one – as a passenger – was about 25 years ago! This week not only do I get to drive it, but I get to drive the all-new version – the 2010 370Z Roadster (next week I’m driving the 40th Anniversary 370Z Coupe, so come back to find out about that!). Has the Z really been around that long? 1970 – that was the first model year – way back when Nissan were called Datsun. I remember the Datsun 240Z – it was one of those cars everyone loved the second they saw it. Powered by a 2.4 liter in-line 6 cylinder producing 150 hp, it was only available with a 4-speed manual transmission, (that ruled out about 98% of the American population as potential purchasers – they only know how to use the right foot when driving). As the Z went through its various upgrades and changes, it got heavier and heavier as well as more and more expensive. After a brief sabbatical, the Z returned to North America (it continued to be sold elsewhere) as the 350Z in 2002. 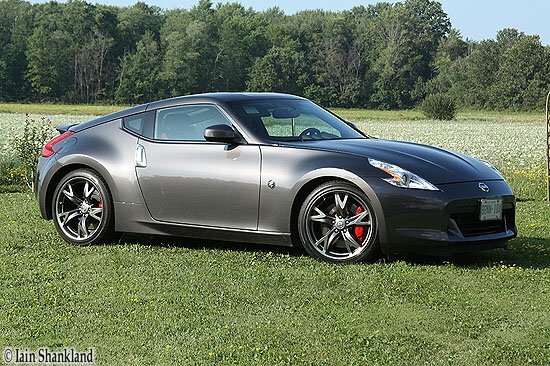 Now we have the 370Z – the best one yet!